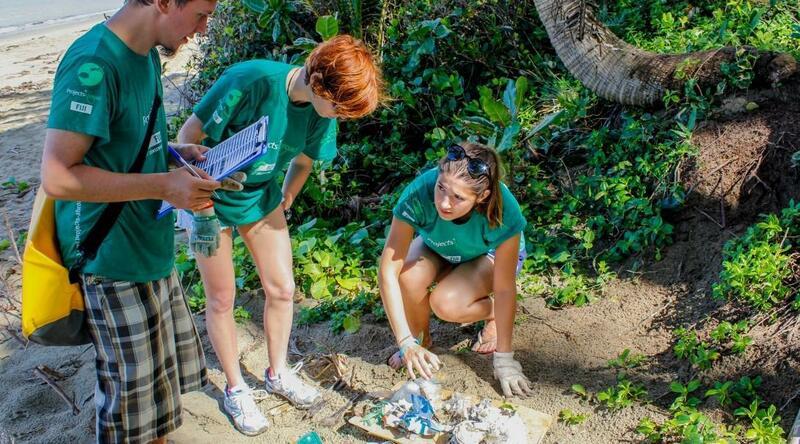 Step off the beaten track and take part in a volunteer vacation abroad. With Projects Abroad, you’ll be able to pack your bags, stamp your passport, and become part of our long-term efforts to make a real difference. There’s a lot to see and do during volunteer travel. You can support children’s education, learn a new language, or dive with sharks on a wildlife volunteer vacation. You’ll live with a host family or in shared accommodation, taste delicious local food, and experience cultural exchange with the people you meet. Whatever you do, we’re certain that your vacation will be transformed by the worthwhile volunteering work you’ll do. We offer you a hassle-free experience, so that you can focus on making the most of your volunteer holiday abroad. On a Flexi Trip, you can choose your own dates anytime throughout the year. You can also join a Team Trip if you’re looking to travel with a set group over fixed dates. We’d be happy to talk about creating a custom project for you during your holiday. Most of our staff have been volunteers themselves, so they’re ready to answer your questions, big or small. Take a volunteer vacation for singles and focus on helping others or the environment as part of your holiday. If you’re traveling solo, we recommend a Flexi Trip or a Team Trip. On our Flexi Trips, you’ll work independently while receiving support from our in-country staff when you need it. On a Team Trip, you’ll join a group of people and have constant guidance and support from our staff. In addition, a Team Trip also has pre-organized weekend trips included. Whichever option you choose, you’ll meet passionate volunteers from around the world and you’ll work alongside our dedicated in-country staff. You can also be sure that your work is making a tangible difference. In your free time, you can explore new streets, taste the local cuisine, and get to know your host family or new friends. As an older volunteer, you too have the opportunity to travel and make a difference. Share your skills and life experiences with local staff and our partner organizations. You’ll meet people from around the world and explore your surroundings while being fully immersed in a new country. As an older volunteer abroad, you can join one of our Flexi Trips. On our Flexi Trips, you’ll work independently but still have the support of our staff. Our projects run all year round, no matter how many volunteers we have. If you prefer a shorter time abroad, and want to work with a group of likeminded volunteers in their 50s and older, join a Grown-up Special. No matter the project you choose, you’ll be part of our long-term, sustainable efforts. It’s the perfect opportunity to travel and make a difference in the lives of others. Travel with purpose with those closest to you - your family. On a family volunteer vacation abroad, you’ll experience the power of giving back as a family unit. You’ll volunteer on projects where we work toward long-term sustainable goals. If you’re traveling with your children, this is a wonderful way to teach them about helping others and realizing their potential. You can also use the time to bond and relax in a new setting. Your family will have 24/7 support from our dedicated in-country staff. Work and play will be balanced, giving you the chance to help a person in need, while also giving your time to grow stronger as a family and create new memories. You can learn more about family volunteering abroad here.